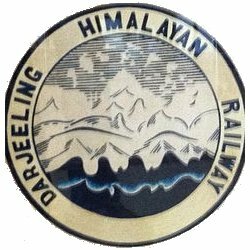 A group of around 10 employees of Darjeeling Himalayan Railway have conducted a cleanliness drive last week and removed hoardings and garbage between the Kurseong railway station and the loco shed. The cleanliness drive led by DHR director M.D. Bhutia was conducted because the stretch between the railway station and the loco shed had turned into a dumping yard with huge piles of garbage being thrown on either side of the tracks. The drive was carried out by hill railway employees, members of the local community, civic body, forest department and NGOs for three days from June 10 to 12. "The Kurseong station of the DHR with huge hoardings of private companies on railway property just beside the tracks had turned the tracks into a dumping yard and vehicles used to be parked on them. This did not conform to the aesthetic value of the railway and had to be removed. So, I along with some employees of the DHR, decided to take the initiative of cleaning the stretch from the railway station and the loco shed which was carried out last week," said Bhutia. "The members of the local community, NGOs, civic body and the forest department have helped us in the process. More than 250 saplings of trees and flowers have been planted in the 300 metre stretch. To prevent people from littering and parking on the stretch in future we have put up 'no parking' and 'no littering' signs," Bhutia said. The DHR urged support of the local community in their efforts to conserve the heritage railway and said similar activities would be carried out every month in other stretches along the hill railway that are in a similar state. Established in 1881, the DHR was accorded the Unesco World Heritage status in 1999. It is the second railway in the world to be given the heritage status after the Semmering Railway in Austria in 1998.